Marketing, promotion and networking in the cultural sector of Kent. Associate your organisation to successful and positive events. … and more as we customize our offers with a number of features bringing a variety of benefits. We are committed to creating and maintaining win-win partnerships with businesses. We offer a number of packages with benefits that allow you to use your sponsorship as a pro-active marketing activity, associating your organisation to positive events. And sponsorship is tax deductable! 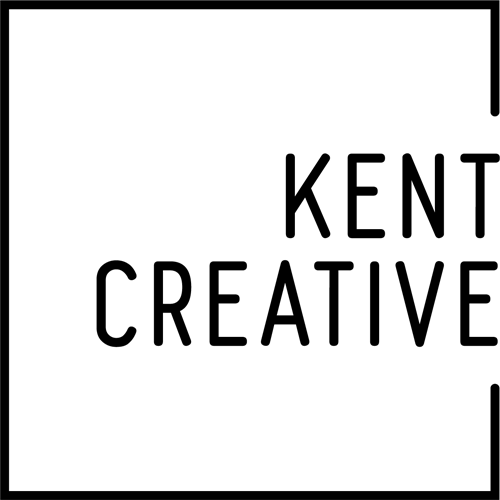 Kent Creative works closely with its partners and sponsors throughout the year and is happy to discuss ways in which it can customise sponsorship to meet your company’s aims/ethos. “Shepherd Neame are delighted to support local artists and are proud to have sponsored the Kent Creative Awards for the second year. As part of the judging panel, we had the privilege of seeing some of the most creative work throughout Kent, much of which was spectacular and was recognised at the awards”. “The first thing to say about being a sponsor for the Kent Creative Awards is how much fun it was. Such a lovely supportive, engaging and substantial group of creatives and Kent Creative has galvanised them into a real force in Kent. 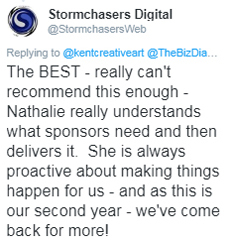 As for tangible results, Nathalie understands that sponsors need more than having a logo displayed somewhere. Aside from positioning we have got solid leads, and new premium clients as a direct result of our sponsorship which means it has more than paid for itself just in terms of covering the outlay – not too mention all of the less tangible benefits such as exposure, reach and positioning. Sian Murphy – Stormchasers Digital & host of The Women In Business Radio Show.